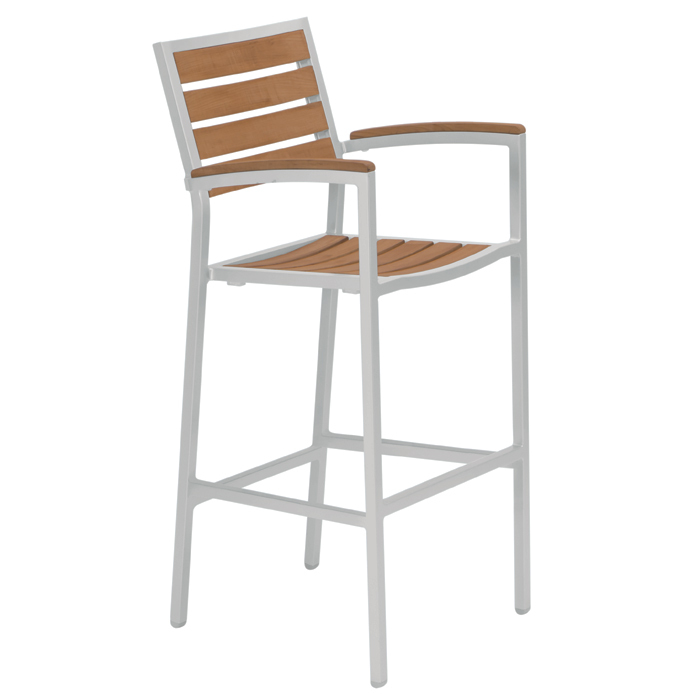 The Tropitone® Valora™ Jado Bar Stool was designed to be practical and good-looking. The aluminum frame is durable and the sealed faux-wood surfaces make cleaning easy with just a simple wipe-down. Jado Bar Stools offer the choice of arm or armless versions and two styles that adds flair to any outdoor setting, whether elegant or casual.